The Oprah bump is back - this time, on Twitter. The "Oprah effect" isn't just about books anymore. Twitter traffic rose a phenomenal 43 percent after Oprah made her inaugural tweet Friday, proving that the talk show mega-mogul can make waves in any industry. Web site traffic tracker Hitwise reported the huge surge in traffic after Oprah wrote her first tweet - "HI TWITTERERS!," she said in all caps. 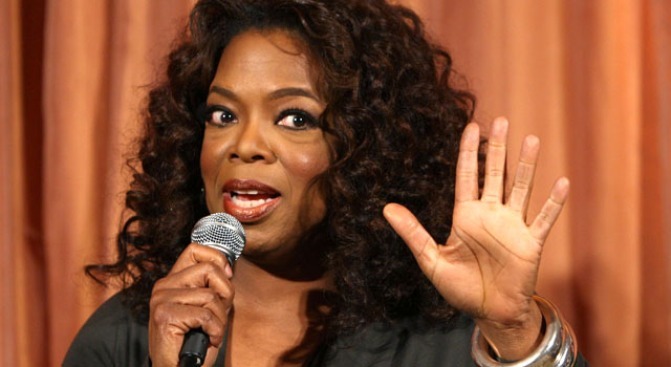 Thirty-seven percent of the visitors were new to the site, USA Today reported - illustrating that it was Oprah herself who drew them to Twitter. The Oprah bump has affected book sales for novels the billionaire recommends as part of her "Book Club," causing profits for each work to shoot through the roof once they get her approval. "Oprah" was also one of the top 10 search terms of the week - it landed at number seven on the list, according to Hitwise.